Born on the first quarter of the 16th century, Pieter Bruegel (formerly Brueghel) the Elder was well known for his genre paintings, or the peasant scenes and landscapes. He was a very important Flemish Renaissance painter and printmaker that influenced many in the art world. The early part of his life was a bit sketchy, with very little written records. According to author Karel van Mander, Bruegel was born in the area now known as Breda while others said he was born in today’s Bree. He apprenticed for the artist Pieter Coecke van Aelst. He traveled around Italy and France and was approved as a master in the painters’ guild in 1551 while in Antwerp. He settled permanently in Brussels in 1561. 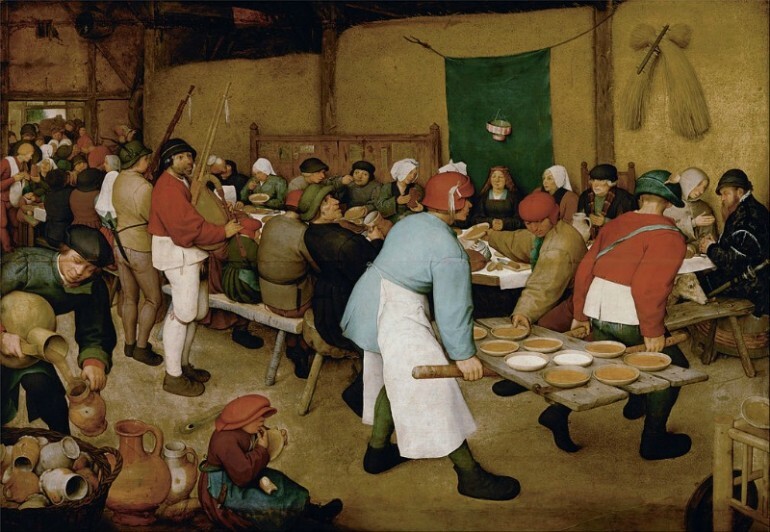 He had been called Bruegel the Peasant or Peasant Bruegel due to his style of dressing like a peasant when attending celebrations and weddings. He did that to be able to socialize freely while gathering authentic details and inspiration for his paintings. Bruegel the Elder was born at the time when High Renaissance of culture and arts in Italy was at its end and Leonardo da Vinci and Michelangelo have created their masterpieces. He had two sons, Jan Brueghel the Elder and Pieter Brueghel the Younger. They were both painters although Jan was the more successful one. He was drawn to the Baroque style of painting and was noted to have collaborated with Peter Paul Rubens in the creation of the Allegory of Sight. Pieter Bruegel the Elder’s specialty was genre painting, in which he was the pioneer. His subjects were mostly peasants and his works usually had a landscape element. He likewise created works with religious themes. During his time, using the life and manners of peasants as the main focus of the painting was rare. He vividly depicted the rituals of life in a village although his approach was unsentimental and earthy. He showed peasants in various activities, including games, dances, festivals, meals, hunts and agriculture. They provided a unique representation of the social and physical aspects of life in the Netherlands during the 16th century. His Hunters in the Snow depicted the severity of winter in their region during the Little Ice Age period between about 1300 and 1870. Some of the works of Bruegel the Elder were social commentaries as well. He concentrated more on painting around 1558 and created several religious scenes such as The Sermon of St. John the Baptist and Conversion of Paul. Two years later he started painting the lives of ordinary peasants, often painting community events. In The Peasant Wedding, many of the people in the painting were identifiable. However, when he created The Fight Between Carnival and Lent, the people in the painting were unidentifiable. Most of them have rounded faces, symbolizing gluttony or greed. Outside of doing scenes of community gatherings, Bruegel also created paintings showing people with disabilities or those that are crippled. One very good work on this subject was The Blind Leading the Blind. It clearly showed a Biblical quote about how a blind person leading another blind man could both make them end up in a ditch. It was a shot at the fact that instead of following the teachings of Christ, mankind would rather pursue earthy goals. His proverb-filled paintings were distinctive of the Northern Renaissance, even if some of his subjects were unconventional. A famous painting of his on this subject was titled Netherlandish Proverbs, which he created in 1559. Typically it showed many actions at once but it was still the most symbolical of his works, as this one depicted 80 proverbs. In 1565, Bruegel received a large commission from a rich patron in Antwerp. NiclaesJonghelinck requested him to paint the twelve months of the year, to show the landscape, weather and social life for each month in the Flemish region. The paintings were somewhat like calendar pages but on a larger scale, each one measuring about three feet by five feet. Only five paintings out of the series survived today, including The Harvesters for August and The Hunters in the Snow for December-January. Pieter Bruegel the Elder had influenced many people in modern times. His Landscape with the Fall of Icarus that was created in 1558 was a subject of the poem of W.H. Auden titled “Musée des Beaux Arts” and William Carlos Williams’ poem penned in 1960. The same painting was referenced in the 1976 film, The Man Who Fell to Earth. “Brueghel’s Two Monkeys,” written by WisławaSzymborska in 1957 was based on his painting, Two Monkeys. The Mill and the Cross, a Polish-Swedish film done in 2011, where RutgerHauer played the role of Bruegel, was inspired by his painting, The Procession to Cavalry. 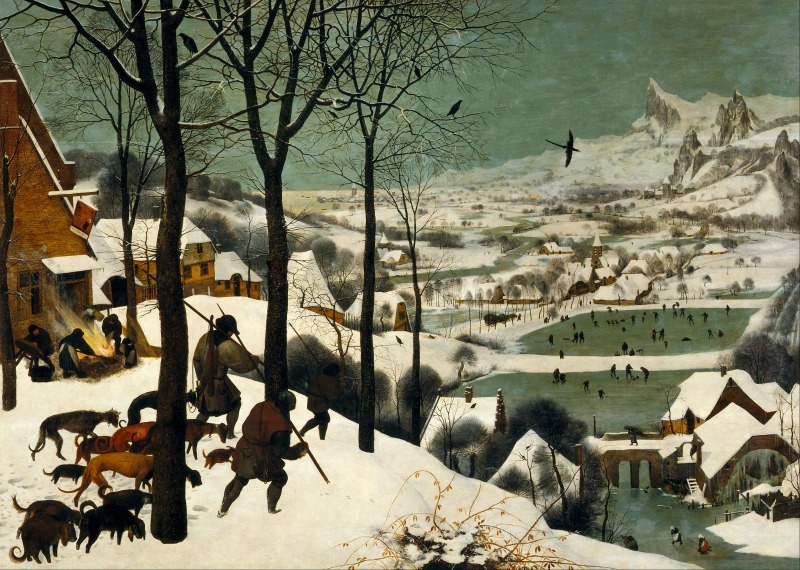 Most of the 45 authenticated paintings of Bruegel that have survived can be found in Vienna’s Kunsthistorisches Museum. Hundreds more were lost.